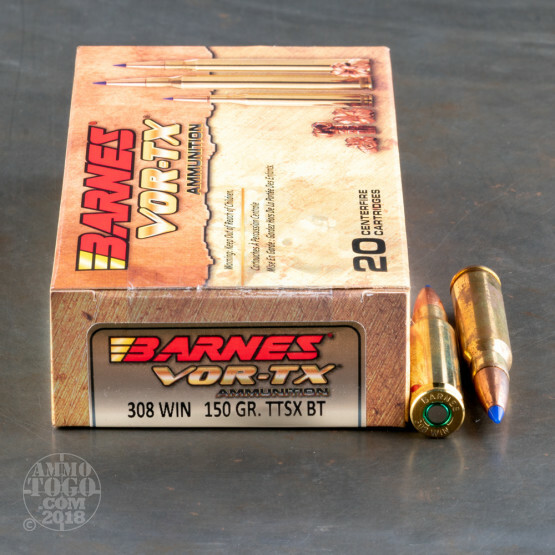 This 308 Win cartridge from Barnes’ VOR-TX line of ammunition sports a tipped TSX boat tail projectile. 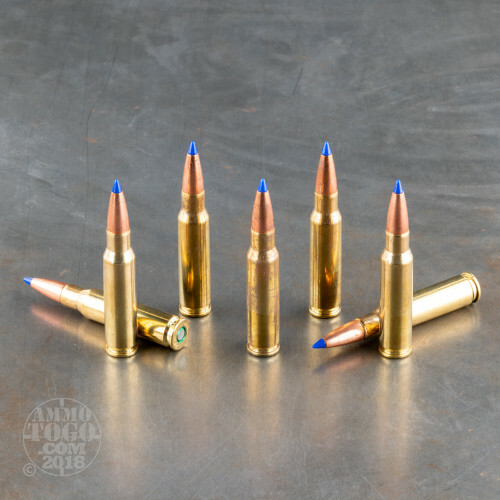 Like the original TSX, this bullet is made entirely of copper, so it causes very little fouling within the bore, is completely California compliant, and delivers up to 100 percent weight retention during penetration. The addition of a polymer tip to the TSX not only streamlines its overall profile, but helps to initiate rapid expansion upon impact. During expansion this bullet extends four extremely sharp cutting petals, which enable it to create a very wide and devastating wound channel that’ll drop even the most rugged game dead in its tracks. 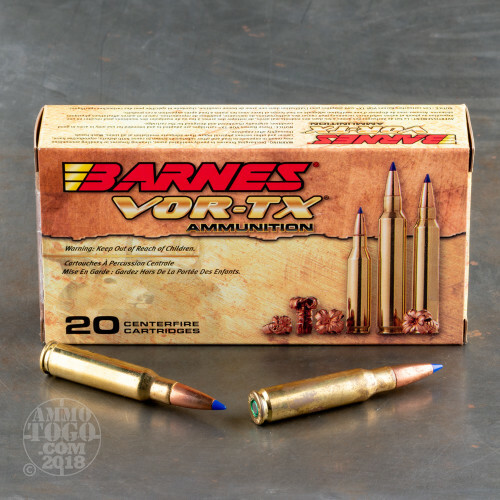 This round’s 150 grain projectile is very accurate thanks to the pressure relieving grooves cut into its shank as well as its boat tail design. 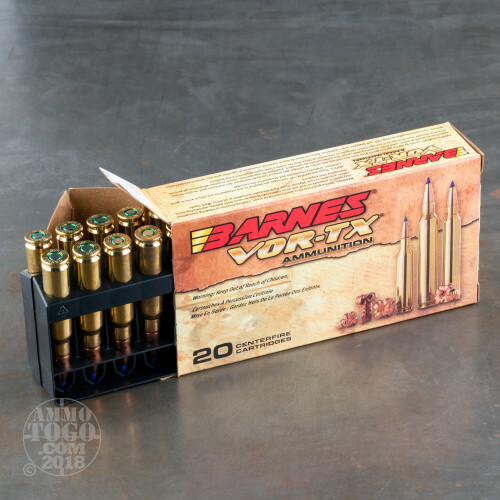 That latter feature enables the bullet to retain a greater amount of its velocity downrange, deliver superior momentum upon impact, better resist the effects of cross winds, and maintain a flat trajectory in flight.